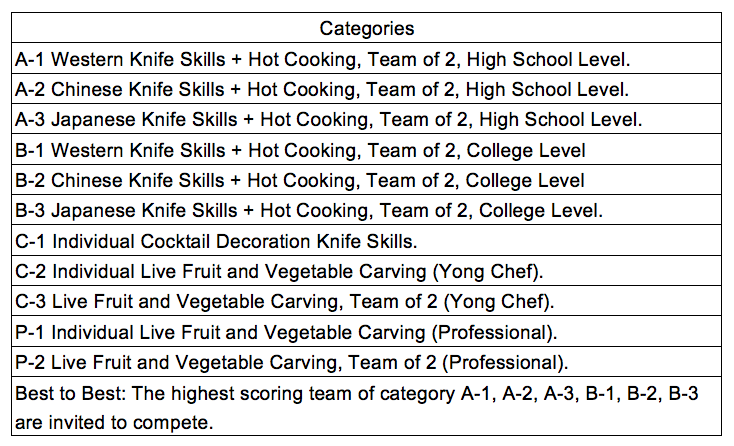 The overall objective of the 2017 Atlantic Chef Cup - Asian Young Chefs Knife Skills & Culinary Competition is to create the first and best platform for Taiwanese and Asian young chefs to perform their basic knife skills together with creative culinary skills. The 2017 Atlantic Chef Cup is taking place from 08:00 ~ 18:00. Download the Culinary Rules Book here. Interesting in participating? Please get in touch via the contact details here.